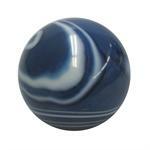 Item #GSE-446: 3 1/8" Dyed Blue Agate sphere from Brazil. 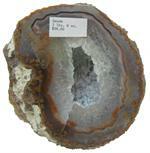 Item #GSE-440: 3"-3 1/4" Agate sphere from Brazil. 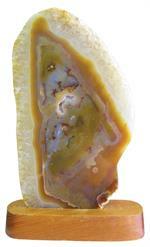 Item #AM-AG-OB-38: 3"-4" tall Agate Obelisk (Brazil). 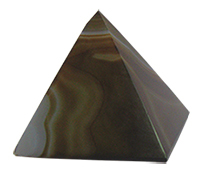 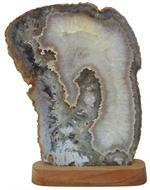 Item #AM-AG-OB-48: 4"-5" tall Agate Obelisk (Brazil). 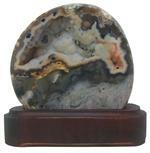 Item #AM-GEO-65-1: Approximately 3.75"x4" tall Agate geode (Brazil) on wooden stand. 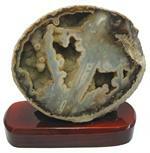 Item #MS-832: Approximately 7"x6" tall Agate geode (Brazil) on wooden stand. 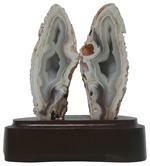 Item #MS-842: Agate geode pair on wooden base. 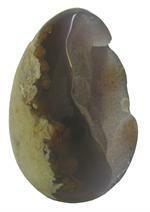 The larger half being approximately 8"x9" tall. 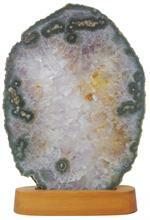 Item #MS-1032: Approx. 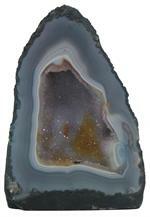 6"x.25"x11" Agate geode slice on 1.25" wooden stand. 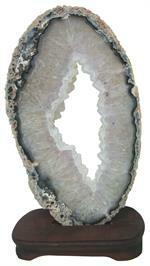 Item #AM-AG-GEO-500: Approximately 7.5"x14.5" tall Agate geode slice (Brazil) with pale Amethyst and white Chalcedony drusy on wooden stand.